Bryant Johnson makes a move to the basket during Butler’s win over the Green Wave on Friday evening. Court Justice drives past a Greenville defender during Butler’s win over the Green Wave on Friday evening. 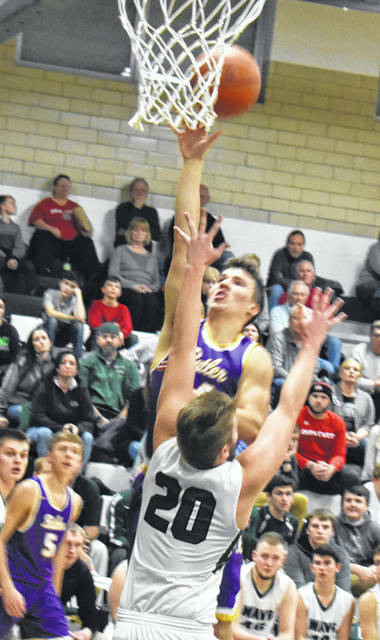 Butler’s Kyle Wertz led all scorers as the Aviators defeated Greenville on Friday evening. 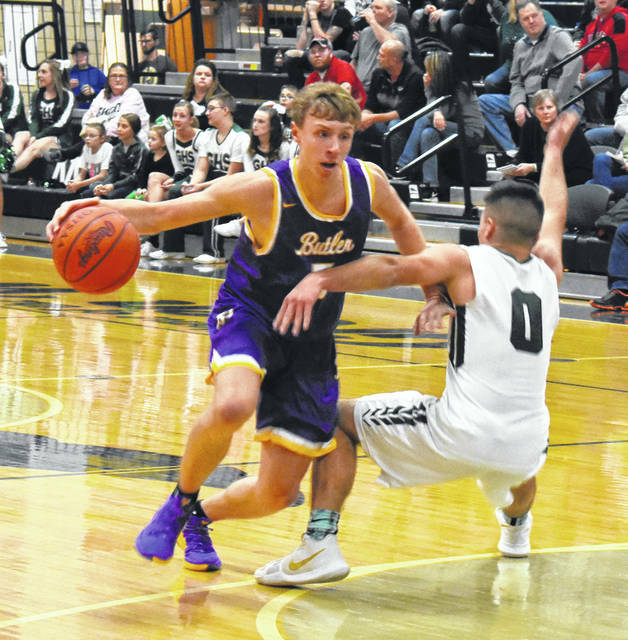 GREENVILLE — Butler’s trip to Greenville on Friday night had all the markings of a trap game. 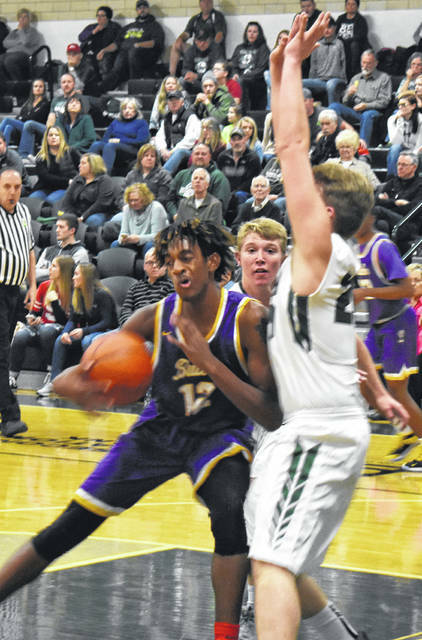 The Aviators were coming off a dramatic win over Wayne while the homestanding Green Wave were struggling mightily. Any notion of an upset were quickly squashed, though, as Butler handled business by jumping to a 23-5 lead after one quarter and pulling away for a 75-22 win. The Aviators remained unbeaten on the year at 4-0 overall and 2-0 in the Greater Western Ohio Conference (GWOC) North division while Greenville fell to 0-3 overall and 0-2 in league play. Friday’s contest was never in doubt as the Aviators played 15 players – 13 of whom scored. Ryan Wertz led the offensive attack with 17 points followed by Michael Kreill with 16. Butler’s defense took away 26 steals while the offense shot 55% from the field in a dominating performance. Butler jumped to an 8-2 lead on baskets by Wertz, Braedon Norman and Bryant Johnson which prompted a Greenville timeout with 6:54 to play in the first period. Butler’s onslaught continued and a frustration technical foul put the Aviators up 15-5 halfway through the first quarter. The Aviators responded with an 8-0 run to end the quarter up 23-5. Despite a three-pointer early in the second quarter, the Wave couldn’t stop the Aviator offense which outscored Greenville 21-7 in the second period to build a 44-22 lead at intermission. The Aviators opened the third period on a 10-0 run with five different players scoring to squelch any attempt by the Wave to come back. The Aviators will return to action on Tuesday as they travel for a rivalry game against That Team Across the Dam (Northmont) before hosting Troy in a key GWOC North showdown on Friday.